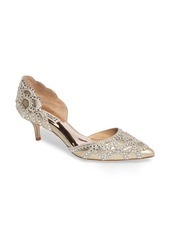 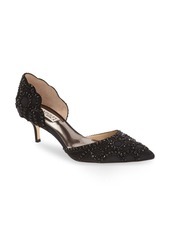 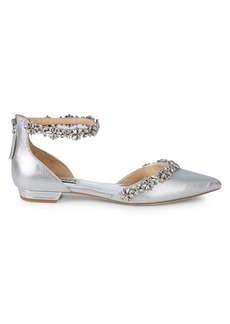 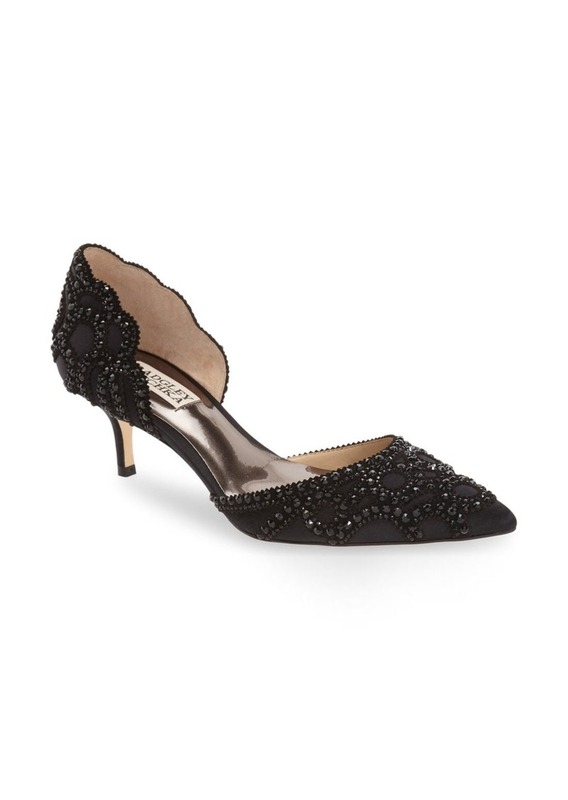 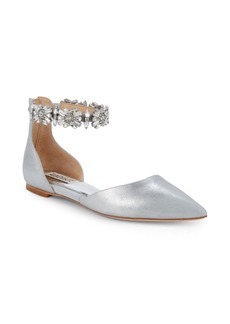 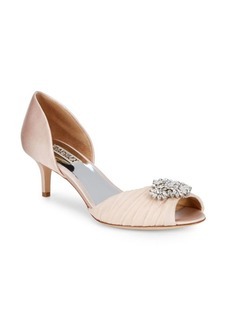 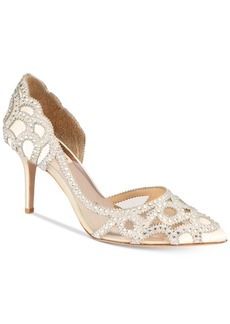 Sparkling crystals ornament the scalloped lines of this lustrous satin d'Orsay pump fashioned with a perfectly pointed toe and a demure kitten heel. 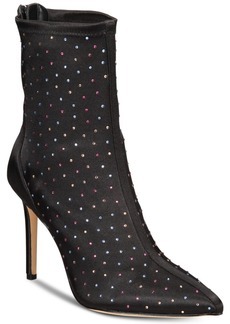 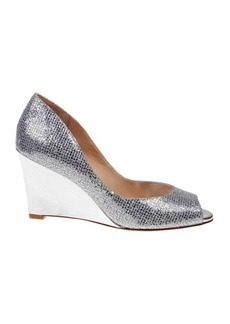 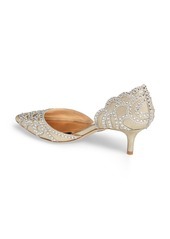 2" heel (size 8.5). 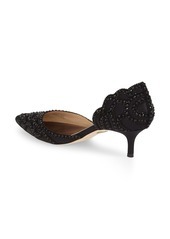 Textile or leather upper/leather lining and sole. 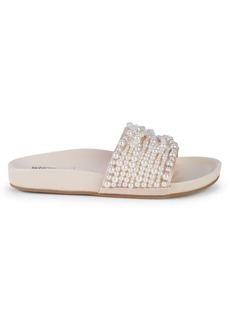 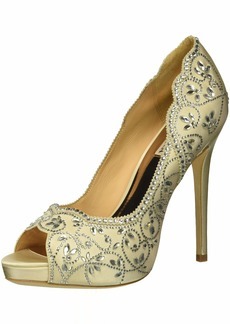 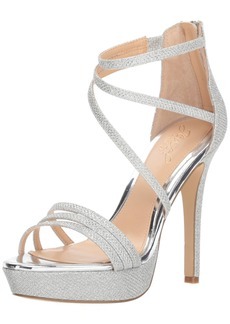 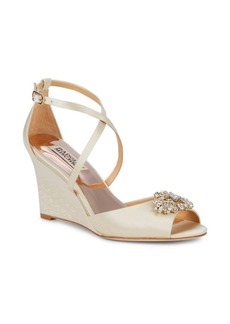 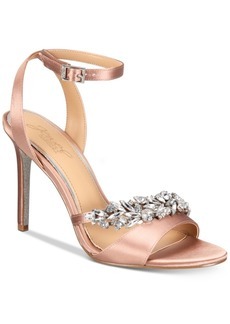 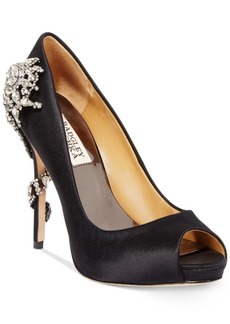 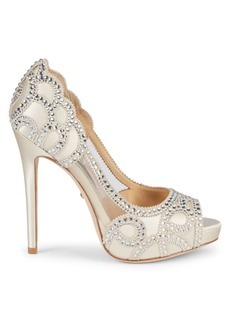 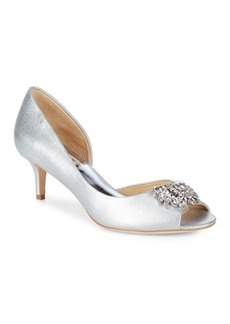 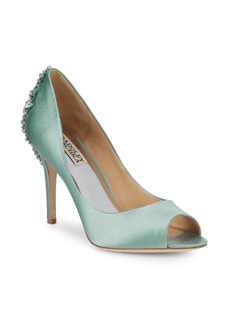 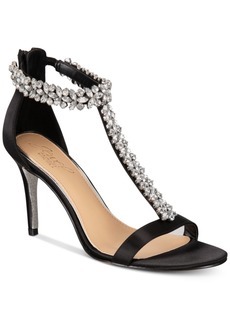 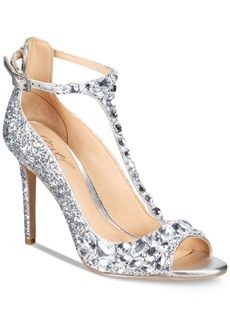 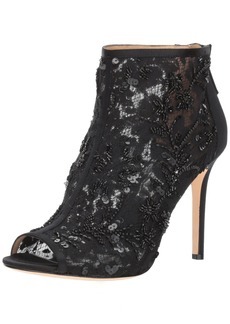 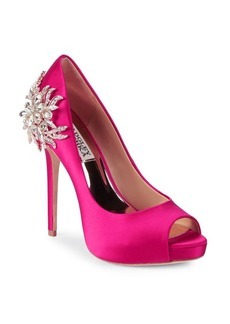 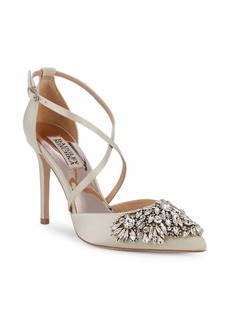 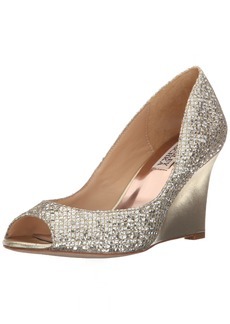 By Badgley Mischka; imported. 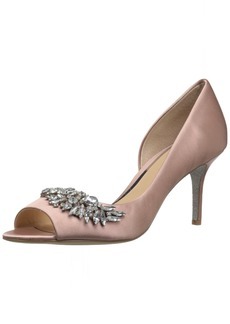 Women's Shoes.